Upgrading its armaments systems is a priority for the Armed Forces. The acquisition of arms has been ongoing and 2018 was no exception. What made last year different, however, was the growth in domestically produced, rather than imported, military acquisitions. 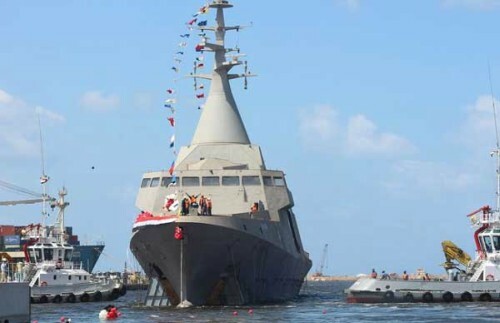 The first Gowind-class corvette to be built in Egypt rolled off the Alexandria Shipyard’s assembly lines in September. Built in collaboration with France’s Naval Group, the ship will be followed by two further corvettes. The first vessel of this type to enter service in the Egyptian navy was acquired from France in 2017. The launch of Egyptian Defence Expo (EDEX-1) in December was another groundbreaking event. Clarion Events, the British-based company which organised EDEX, has announced that in view of the success of the first edition a second will be held in 2020. Fewer armaments were bought this year than in the previous three, and most were installments on already concluded deals. In July, Egypt received a shipment of Russian KA-52 attack helicopters which it had ordered from Russia when it acquired two Mistral-class helicopter carriers from France. And in November the US approved the sale of 10 Apache attack helicopters to Egypt. “Finally. We did it. Corvette Gowind… By Egyptian hands and for the first time,” proclaimed the Alexandria Shipyard company on its website in September 2018. The corvette, named Port Said, was launched on 6 September. It had been manufactured in record time and in accordance with the highest production quality and efficiency standards, according to Naval Group, the French naval defence contractor that designed the Gowind. During the launch ceremony Vice-Admiral Ahmed Khaled, commander of the Egyptian Navy, said that the Egyptian Armed Forces’ General Command was implementing a comprehensive strategy to upgrade and modernise the Egyptian fleet to bolster security and stability in the navy’s operational zones and enhance its ability to contend with the regional challenges. He said the new ship was the most advanced item in the navy’s arsenal and would reinforce Egypt’s ability to protect its economic interests in the Red Sea and the Mediterranean, safeguard the freedom of navigation and secure the Suez Canal. It took 650,000 labour hours to complete construction of the ship, and further 110,000 production support hours. A total of 2,100 Egyptian engineers and craftsmen were involved in the building process. The Alexandria Shipyard, one of the fruits of Egyptian-Soviet cooperation in the Nasserist era, fell into neglect after the 1973 October War and was only recently refurbished and expanded. The first edition of the Egyptian Defence Industries Expo was not just about domestic ship building, of course. 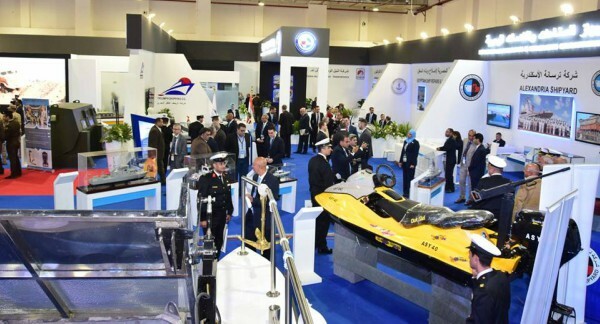 Some 23 Egyptian defence firms exhibited, reflecting the growth in domestic defence production. Its success was reflected in the number of displays, the weight exhibiters carry in the global defence industry and the participation of high-level visiting military delegations. The event exceeded expectations, according to Major General Tarek Saad Zaghloul, chief of the Armed Forces Armament Authority. The organisers originally set out to attract 350 contractors when in fact 375 attended. Clarion Events, which has over a quarter of a century experience in event organisation, described EDEX-1 as the largest defence exhibition held in the Middle East. It based its assessment on participation, the number of official delegations that visited the exhibition (65), the quantity of domestic products on display and the size of individual exhibits. EDEX-1 served as a model for interactivity between participants and many Egyptian exhibitors said they had viewed products displayed by other firms with an eye to assessing whether they could be manufactured locally or in partnership. The event provided an opportunity to assess the extent to which specialised Egyptian defence manufacturers such as the Arab Organisation for Industrialisation (AOI), the Ministry of Military Production and the Arab International Optronics Company (AIO) could compete in international markets and allowed exhibitors to assess the marketability of their products. EDEX-1 allowed local defence contractors to showcase the areas where they are making a mark. Egypt has made considerable inroads in tank and armoured vehicle production. Among the most important items on display were two ST-500 and ST-100 ultra-armoured vehicles produced by Marathon United Technology Group (IMUT) in collaboration with the Ministry of Military Production. The ST-500 and ST-100 meet NATO standards and come with armour protection up to CEN Level SR6/SR7 and Stanag Level 4, respectively, and are considered to excel over their American counterpart the M-RAB. IMUT has set up an assembly line to meet domestic and regional demand for the multi-purpose vehicles which can serve as ambulances, as armoured personnel carriers or rapid intervention vehicles in counter-terrorist and riot control operations. They are highly manoeuvrable and can be fitted with light and heavy artillery, including anti-aircraft missiles. Models of combat and training aircraft were exhibited, including the K-8 jet trainer manufactured by AOI, and three models of AUVs (unmanned aerial vehicles — drones), the CH-5, the Wing Loong-1 and the ASN-209, which is completely made domestically. Also on display was the locally made Sahm (Arrow), which is used for training but can be equipped with missiles for combat missions. Egypt also displayed its KA-52 combat helicopter, the Russian equivalent of the US-made Apache. The purpose was to underscore Egypt’s strategy of diversifying its armaments sources. In addition to the Gowind-class corvette manufactured in collaboration with Naval Group, the Alexandria Shipyard company has produced 15 coastal patrol boats, six of which have entered service in the navy. It also manufactures smaller vessels for civilian and military use. Locally produced systems include the early warning Egyptian Surveillance Radar ESR-32 2D, which was unveiled at EDEX. This 100 per cent made-in-Egypt radar is designed to analyse and assess airborne threats and to identify the type of defence systems needed to intercept them. With a range of up to 250km it can also be used for civilian purposes, in air traffic control, for example. The AIO premiered its MTLB-V ground surveillance vehicle which can be transported on the Russian MTLB and equipped with a R20SS radar system. 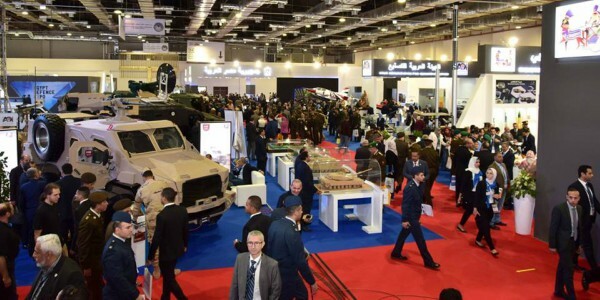 Egyptian exhibitors at EDEX-1 showcased a broad and diversified production base designed to meet 60 to 70 per cent of the demand from all branches of the military while generating a surplus for export. Many items on display — assault aircraft, drones and ultra-armoured vehicles — reflected the growing interest in weapons systems designed for counter-terrorism and other forms of irregular and unconventional warfare. As part of its ongoing armament development programme, the Armed Forces received a new batch of KA-52 (Alligator) assault helicopters in May. According to Andrey Boginsky, CEO of Russian Helicopters, Egypt has now received 35 of the 46 KA-52s it ordered. The remaining helicopters are scheduled to be delivered in 2019. In December 2018, the US Defense Department approved the sale of 10 Apache assault helicopters to Egypt. 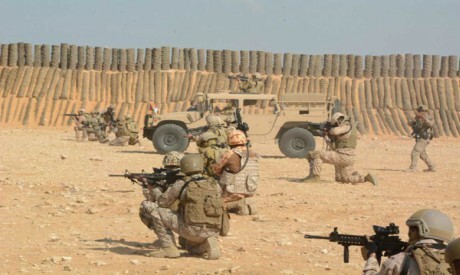 The Defense Security Cooperation Agency (DSCA), part of the US Defense Department, reported that the Egyptian army will also receive related equipment including Modernised Target Acquisition Designation Sights/Pilot Night Vision Sensors, Missile Warning Systems and other radar systems, as well as spare parts for the Apaches. The DSCA, in a news release in late November, underscored the need to “address the US-Egyptian interest in countering terrorist activities emanating from the Sinai Peninsula that undermine regional stability”. As developments in armaments and defence over the last 12 months show, Cairo has expanded its military industrial base, incorporating new technologies in order to meet domestic needs, and it embarked on a dynamic foray into the realm of international defence exhibitions. The year’s arms deals show Egypt remains firm in its commitment to diversifying its sources of weapons.